An annuity is a financial product that provides certain cash flowsCash FlowCash Flow (CF) is the increase or decrease in the amount of money a business, institution, or individual has. In finance, the term is used to describe the amount of cash (currency) that is generated or consumed in a given time period. There are many types of CF at equal time intervals. 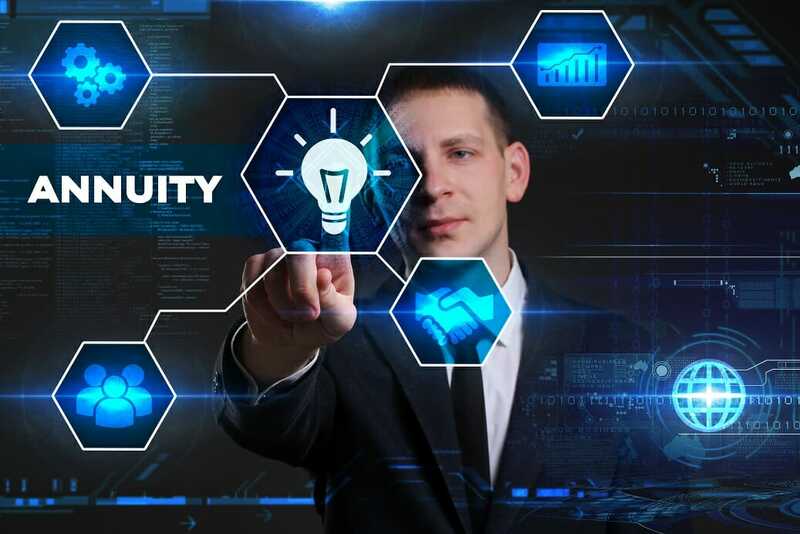 Annuities are created by financial institutionsFinancial Institutions Group (FIG)Financial Institutions Group (FIG) is a group of professionals that provide advisory services to financial institutions. Some of the services that FIG offers include mergers and acquisitions, recapitalization, capital raising, financial restructuring, corporate valuations, expert financial opinions and other advisory services., primarily life insurance companies, to provide regular income to a client. An annuity is a reasonable alternative to some other investments as a source of income since it provides guaranteed income to an individual. However, annuities are less liquid than investments in securitiesFixed Income SecuritiesFixed income securities are a type of debt instrument that provides returns in the form of regular, or fixed, interest payments and repayments of the principal when the security reaches maturity. These instruments are issued by governments, corporations, and other entities to finance their operations because the initially deposited lump sum cannot be withdrawn without penalties. Upon the issuance of an annuity, an individual pays a lump sum to the issuer of the annuity (financial institution). Then, the issuer holds the amount for a certain period (called an accumulation period). After the accumulation period, the issuer must make fixed payments to the individual according to predetermined time intervals. 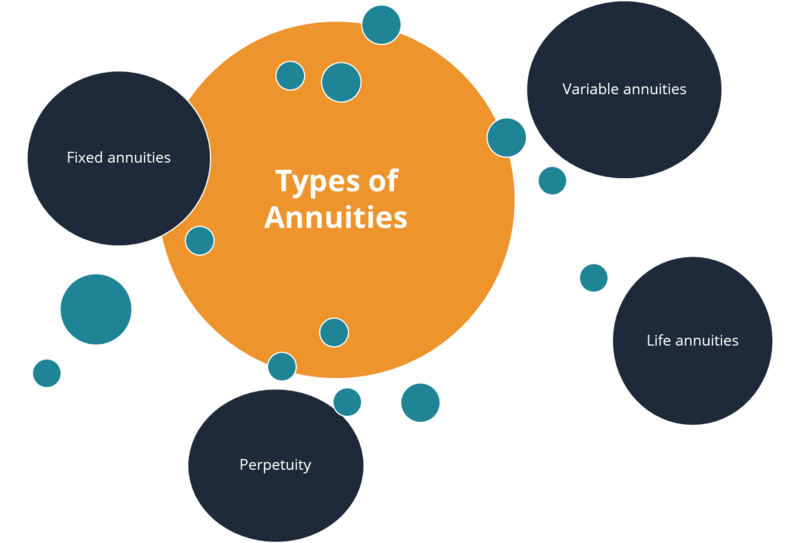 Annuities are primarily bought by individuals who want to receive stable retirement income. Annuities that provide fixed payments. The payments are guaranteed, but the rate of return is usually minimal. Annuities that allow an individual to choose a selection of investments that will pay an income based on the performance of the selected investments. Variable annuities do not guarantee the amount of income, but the rate of return is generally higher relative to fixed annuities. Life annuities provide fixed payments to their holders until his/her death. An annuity that provides perpetual cash flows with no end date. Examples of financial instruments that grant the perpetual cash flows to its holders are extremely rare. The most notable example is a UK Government bond called consol. The first consols were issued in the middle of the 18th century. The bonds did not specify an explicit end date and were redeemable at the option of the Parliament. However, the UK Government redeemed all consols in 2015.